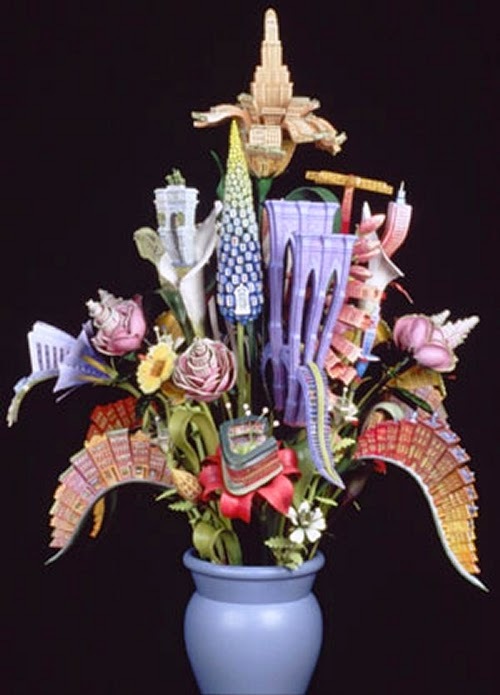 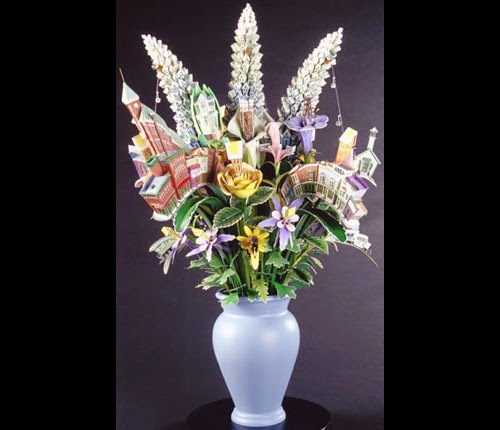 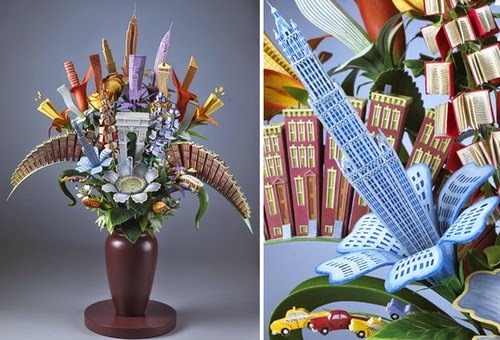 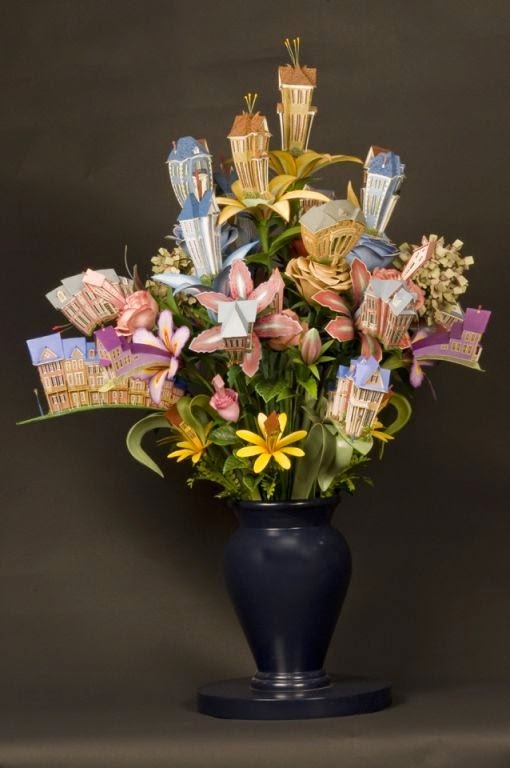 Very creative Sculptor James Grashow creates, carved bouquets with Victorian houses and famous cityscapes. 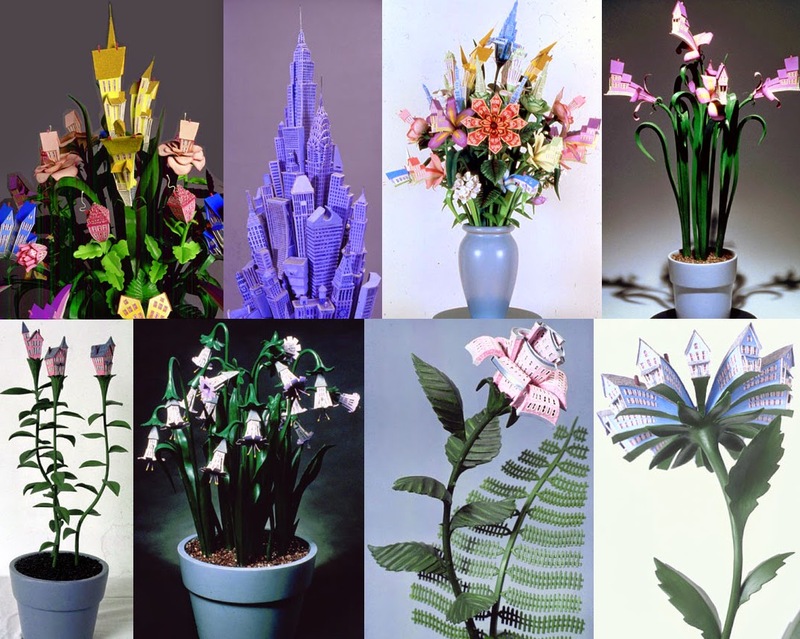 The theme of these beautifully intricate and colourful looking sculptures symbolize, in Grashow's words "The word Houseplant is a perfect metaphor for the fragile relationship between nature and man". 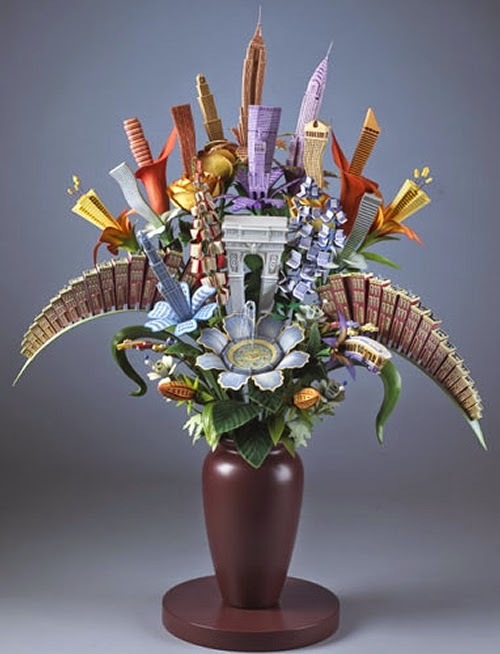 These are the cities covered by this project: Atlanta Bouquet, NYU Bouquet, Telluride Bouquet, Brooklyn Bouquet, Manhattan Bouquet, Assorted Bouquets. 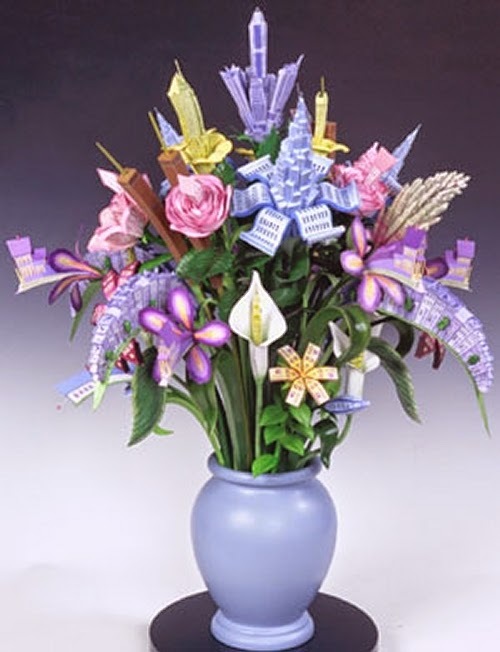 We have added animations to show all of the close ups for each sculpture.